You'd think a person wouldn't keep falling for this, but when it's the first thing one sees when one turns on one's phone at 4 a.m., one can be forgiven. Click the snip for the announcement. I love Kirill, he's awesome. 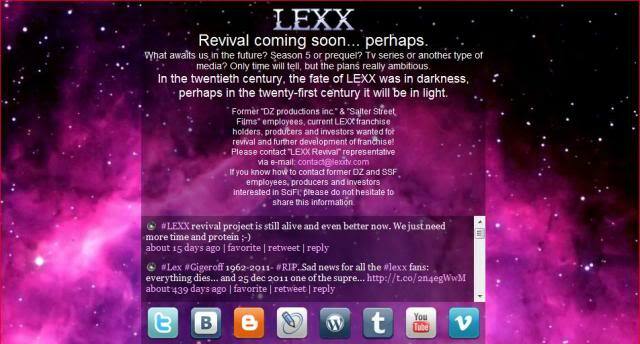 One of these days I hope to see his LexxTV site go live. I talked to Kirill about a Lexx revival a couple of years ago. He's not the only one who has looked into production cost and property license/bid, so I think it's still reasonable to expect retro Lexx merchandising one day. In the meantime, help spread the joyous word.